Aging brings new experiences — and new responsibilities. Metabolism slows, gray hairs sprout and health problems arise more often. While it’s never too late to start taking care of yourself, those over the age of 30 must pay special attention to maintaining healthy habits. Oral health and hygiene is no exception. Teeth not only serve an important function in daily life; they reflect your overall health. If you’re concerned about protecting and keeping your teeth, here are seven ways to make oral health a priority. Smoking or chewing tobacco can have detrimental effects on health and appearance. Smoking is definitively linked to lung cancer and increases the chances of periodontal or gum disease. Puffing away also stains teeth, causes bad breath and can dull the senses of smell and taste. Smokeless tobacco isn’t any better: It’s linked to cancers of the mouth, tongue, cheek, gums, throat and pancreas. It’s good to brush and floss twice a day, and many people do so. But brushing and flossing do not replace a complete cleaning and examination by a dental professional. Dentists and dental hygienists can spot early signs of disease and have access to tools and training that are not available to the layperson. Professional cleanings also remove tartar and plaque that cannot be removed with a toothbrush. Enamel is the hard outer layer of the tooth and protects against decay. Acid found in citrus and other foods weakens enamel. 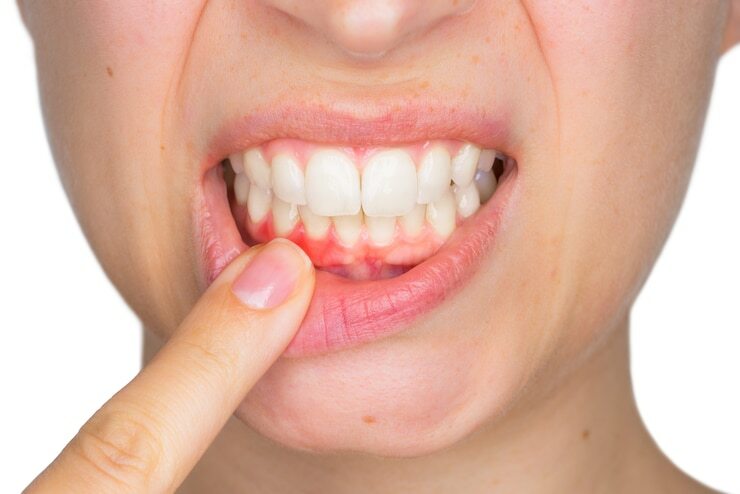 Brushing teeth during this weakened state can cause further damage and leave teeth vulnerable. Instead of brushing right after a meal, dentists recommend you drink water and allow time for acids to neutralize. However, don’t skip brushing. Prolonged exposure to some foods and drinks, such as those high in carbohydrates and sugar, can be damaging, so brush at least twice a day. Anxiety surrounding a visit to the dentist can be overwhelming and cause people to avoid getting the care they need. Patients with anxiety can start taking steps to overcome this fear by finding a dentist that fits their needs and personality. They can make an appointment to meet the dentist and the staff to get a feel for the surroundings before starting treatment. The right dentist will understand and help anxious patients put their health first and leave the dentist chair smiling with confidence. Tooth enamel is made up of minerals that can be stripped throughout the day by contact with food and drink. In addition, enamel demineralizes as we age. Make sure your toothpaste and mouthrinse includes fluoride as an ingredient. Fluoride is a naturally occurring mineral that can help strengthen and protect the enamel layer and sometimes reverse signs of early decay. Diet affects every aspect of health. It’s important to avoid excessive consumption of sugary foods and drinks that attract bacteria, cause plaque and invite disease. Too many acidic food items can also weaken the enamel and leave teeth more open to attack. An ideal diet includes a variety of fruits and vegetables rich in important vitamins and minerals that help the human body function at its best. Appointments are tempting to put off, but tooth decay and gum disease never sleep. Regular visits lower the chances of developing gum disease and give your dentist or hygienist the opportunity to look for cavities and check for signs of cancer of the mouth, tongue, throat, face and neck. Though the common dental visit frequency is every six months, the American Dental Association recommends that your doctor tailor your frequency based on your current oral health status and health history. As people age, tooth enamel wears, gum tissue recedes and the likelihood of disease increases. Developing good habits and establishing a relationship with a dental professional can go a long way toward preventing tooth loss and maintaining a healthy mouth. Looking for a new dentist? Herald Square Dental and the Denture Center in New York City offers services as basic as teeth cleaning to root canals and implants, all at one location. And they’ve been leaders in dental implants and cosmetic dentistry while helping patients Smile with Confidence since 1977. From their offices in Herald Square, they passionately prevent, treat and correct a variety of conditions from both a functional and aesthetic standpoint. This material was initially published as Native Advertising Content in a Tribune Publishing Company publication and was produced by Studio 1847 / Tribune Brand Publishing. The newsrooms or editorial departments of Tribune Publishing Company were not involved in the production of this content.